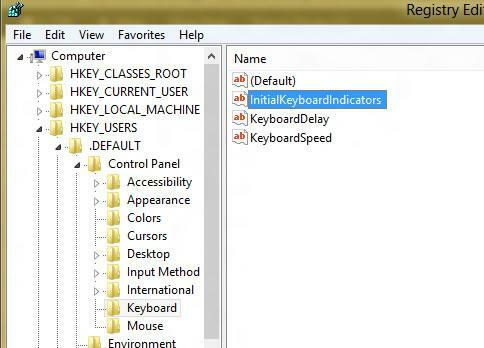 When you want to type in your password while logging in Windows 8 the NumLock part of keyboard is not activated by default. A lot of people complain about this. 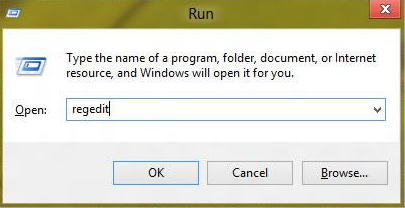 Step 1: From your desktop, press Win+R on your keyboard to launch Run window. If you got prompted by UAC click Yes. Step 2: Inside Run window type regedit and click OK to open Registry Editor. 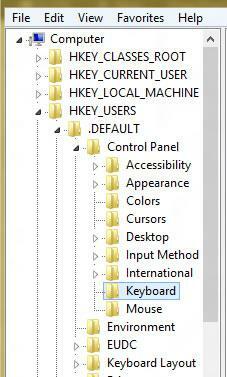 Step 4: While in Keyboard folder, inside right pane double-click on value InitialKeyboardIndicators. 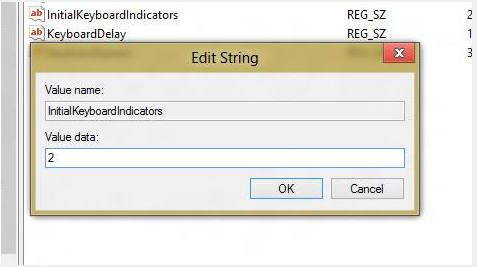 Step 5: When Edit String window opens up, change its value to 2 and then click OK to save your changes. Step 6: Make sure you restart your computer to activate this feature. Next time when your Windows 8 boots up, NumLock will automatically be activated.